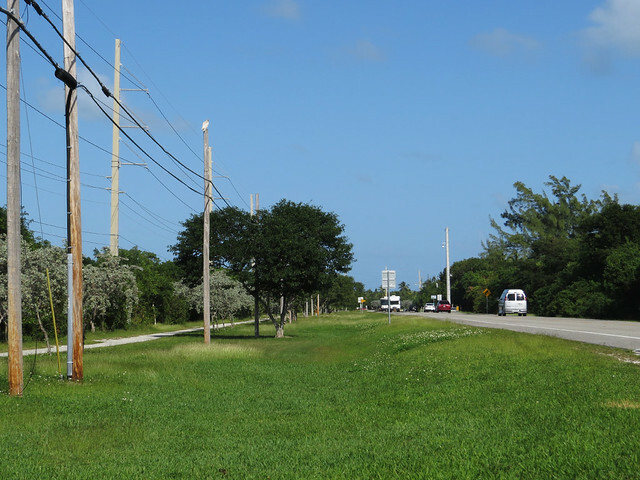 Our time in the Florida Keys was over. We were heading home after Arthur’s turtle conference in early December, taking US1 across the Keys back to the mainland. 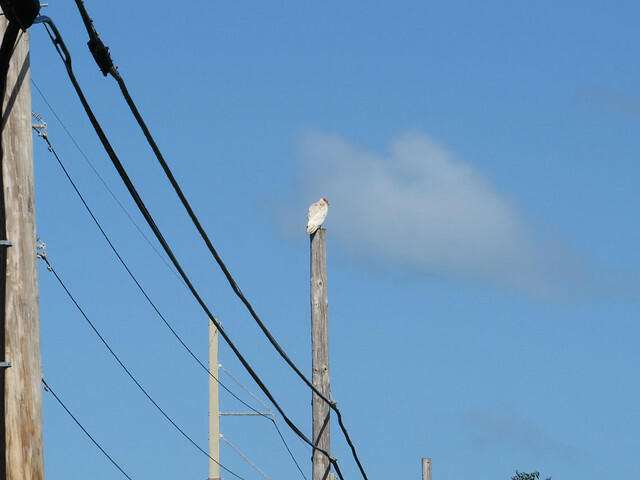 We were speeding along Lower Matecumbe Key when I spotted a white mass perched on a telephone poll. We turned around for a better look. 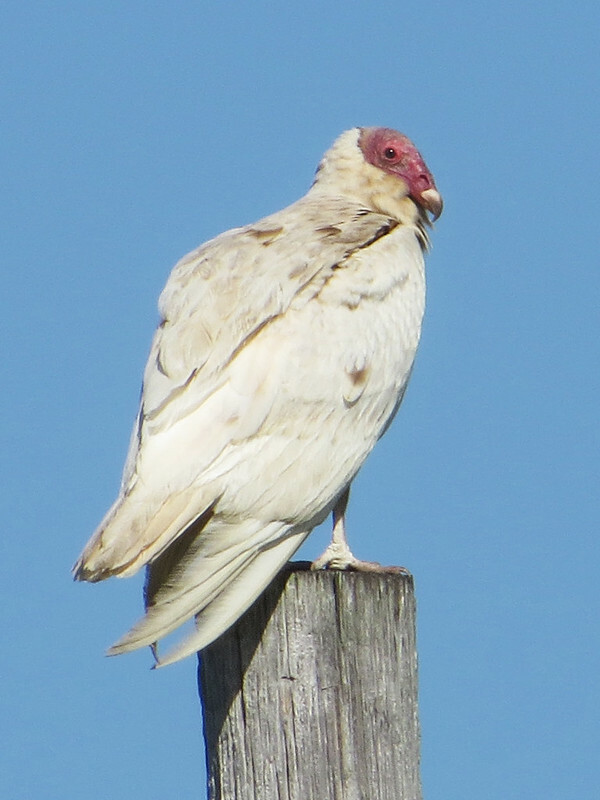 It was a nearly all-white Turkey Vulture! Quite a few feathers look to have some brown on them, so this bird is not an albino. A Turkey Vulture with normal plumage would have a red head just like this bird does. This entry was posted in Florida, Offbeat. Bookmark the permalink. Hi! 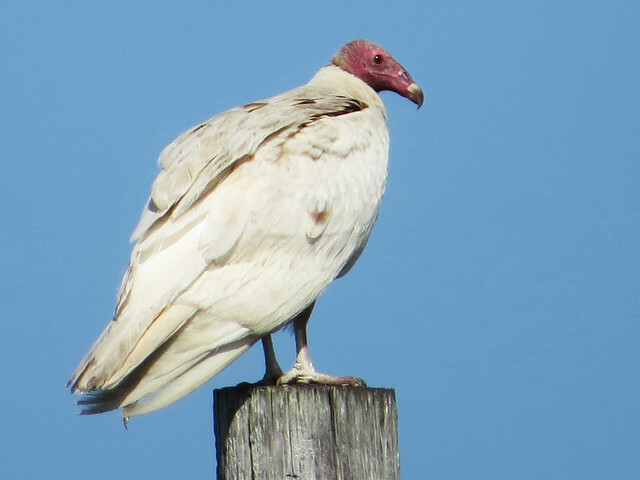 I saw a leucistic vulture on Big Pine Key today! I imagine it might even be the same bird you photographed. Thank you so much for the pictures I couldn’t get. I saw one today over Lake Geneva in Keystone Heights Florida. 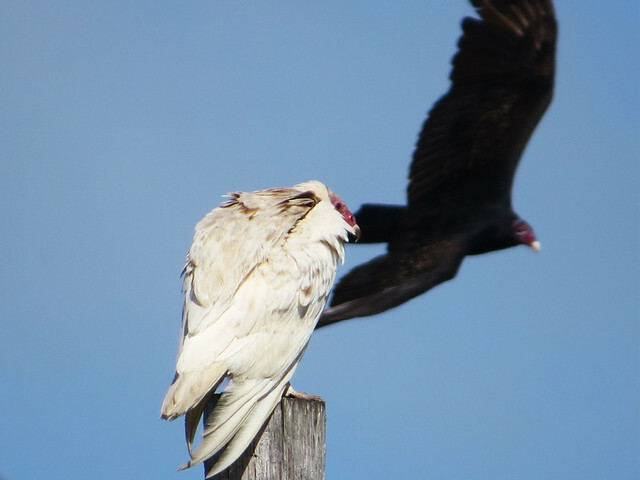 I was so shocked to see a white Turkey Buzzard I had to look it up.